Help Purple (iTunes link), developed by gameday, Inc., is a beautifully designed puzzle game in which your task is to guide a cute purple blob through a chaos-stricken world. 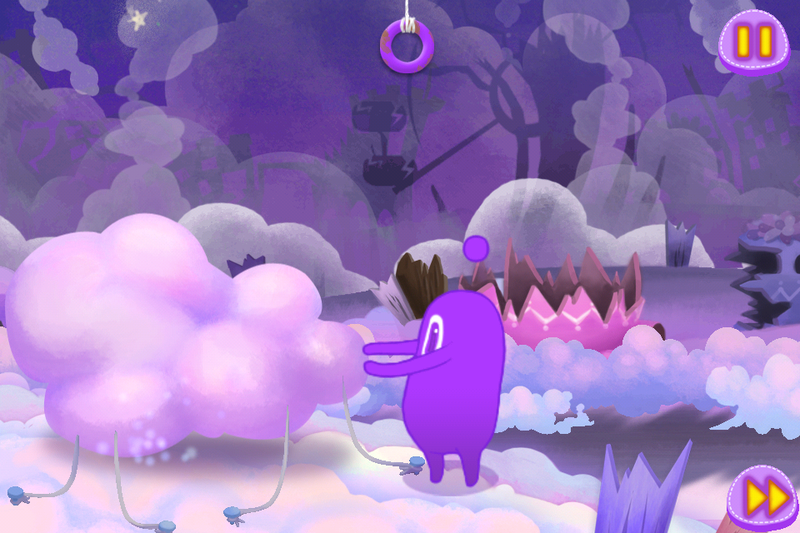 The game starts off with a cinematic depiction of the background story. I found it a little confusing to follow because there aren’t any words to describe what actually took place and why Purple needs help. 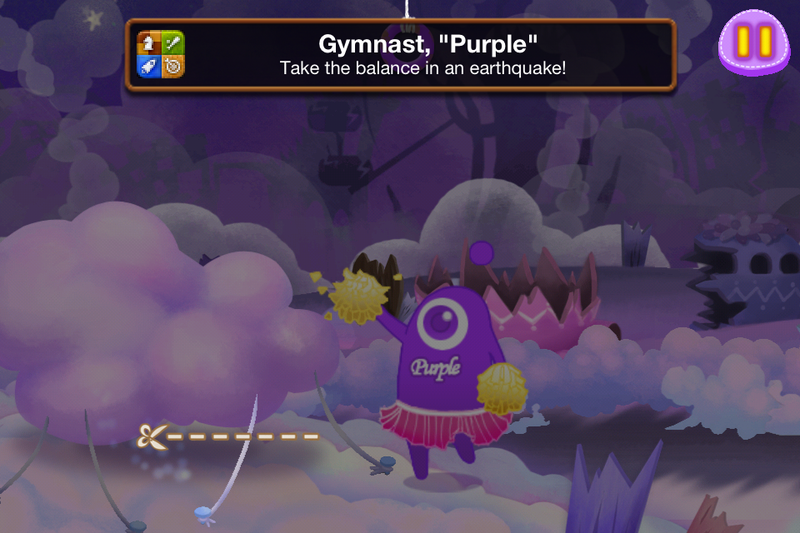 According to the game’s iTunes page, Purple hails from a group of rainbow gods. He is the only god who survived the Huge Monster’s attack, and he must free his fellow gods who were captured. 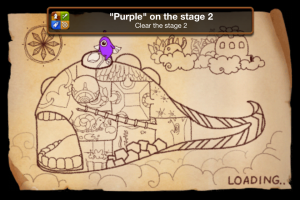 Unlike many puzzle games which only offer progression through levels, Help Purple is very open-ended and leaves plenty of room to continue playing the game even after you’ve completed it. 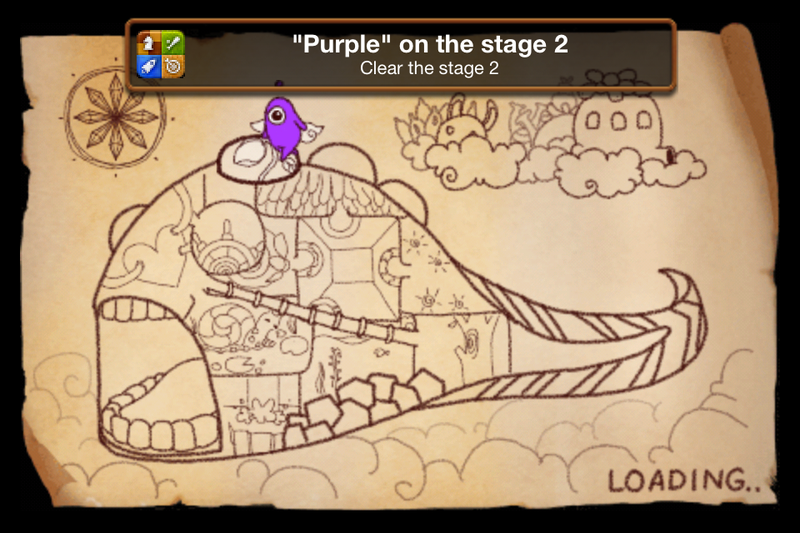 This is achieved through collecting items as you play the game. You can also trade items with other Help Purple players around the world. The only thing that surprised me about this game is the fact that it’s almost exclusively based on images. This is an excellent concept for younger children because they’re still able to understand how to play the game. However, I found it to be slightly annoying because I spent a considerable amount of time trying to find my way around menus. 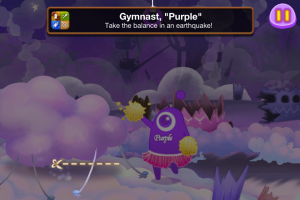 Help Purple offers many ways to share your progress and connect with other players around the world. 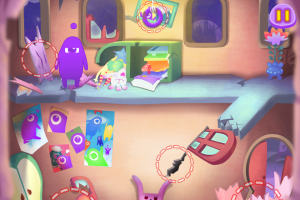 The game is Game Center enabled, allowing you to share achievements and collections. You can also share with friends on Facebook through status updates. I would definitely recommend this game for young children because it is very subtle and cute. Adults might find it a little frustrating to play because we are used to detailed instructions. If you’re willing to spend almost as much time discovering how to play the game as actually playing it; however, you’ll certainly enjoy it. 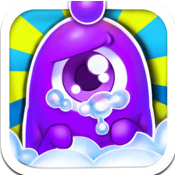 Help Purple (iTunes link) is compatible with iPhone, iPod touch, and iPad. Requires iOS 3.2 or later. A small expedite fee was paid by the developer to speed up the publication of this iPhone App Review.